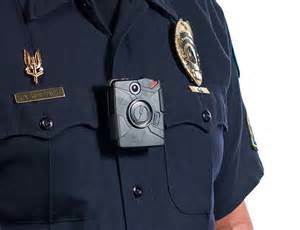 Phoenix Law Enforcement Association > PLEA News > Pushing for More Body Cams…at what cost? Pushing for More Body Cams…at what cost? The Phoenix Police department currently has 150 body cameras deployed in the field and recently received a federal grant that will allow the department to field 150 more units. A request for proposal (RFP) was just sent out that will allow various body cam manufacturers to compete for the contract. PLEA has gone on record numerous times stating that we support the use of body worn camera technology. We believe that, more often than not, captured video helps explain and validate an officers actions. In a recent New Times article posted February 8, 2016, Mayor Greg Stanton was quoted as saying that he wanted all Phoenix Police Officers outfitted with body worn cameras in the next three years. CLICK HERE to read related article. In an internal memo with the same date, Council woman Thelda Williams in partnership with Mayor Stanton, sent a memorandum to City Manager Ed Zuercher echoing the statements made by Stanton to the New Times with regard to equipping every Phoenix patrol officer with body worn cameras in the next three years. CLICK HERE to see the memo. Cost estimates to bring 400 cameras on line is approximately 2.5 million dollars. What will be the total cost to bring 2000 cameras online? Cameras are cheap however, the infrastructure needed to support them is not. Additional support personnel, redaction technology and secure data storage that will meet national and state standards with regard to the storage of police video evidence also has to be in place and is very expensive. The Phoenix PD is coming off of a seven year dry spell with regard to hiring and has only recently begun to get new blood through the personnel pipeline. The department is currently 700 bodies down and we are projected to lose a minimum of 105 officers this calendar year alone due to retirements. Current hiring is not even keeping pace with normal attrition rates. The department has had to pay hundreds of thousands of dollars in overtime to cover the staffing gaps and are now resorting to stripping officers out of specialty and detective details to plug the holes and staunch the flow of overtime. In addition to this, officers have been faced with pay cuts and concessions year after year for the last six years. Knowing all of this, is the top priority really more body cameras at this particular point in time? The phoenix PD does not have a track record for excessive force, racial profiling, biased policing and has never even been close to being placed under federal consent decree. Perhaps the better order would be to start making employees whole with regard to promised restoration of concessions prior to purchasing additional equipment. Maybe buying more cameras can wait for a bit.